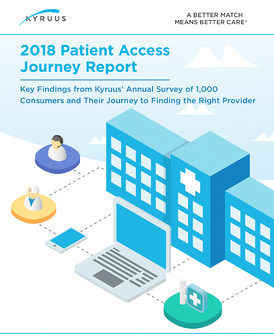 Our annual report on patient access trends shows that convenience is a growing priority for consumers—but they don’t want to sacrifice quality to get it. As competition rises from both traditional and emerging care sites, the findings show that opportunities exist for health systems to differentiate their brands by expanding their reach and removing scheduling barriers. Convenience: 48% visited an urgent care or retail clinic in the last 12 months, primarily due to location convenience. Care Quality: 32% rated quality of online patient ratings & reviews extremely important, up from 26% in 2017. Cohesiveness: While 52% conduct online research, most still prefer to book by phone, perceiving it to be faster. For more healthcare consumer insights, download the report.